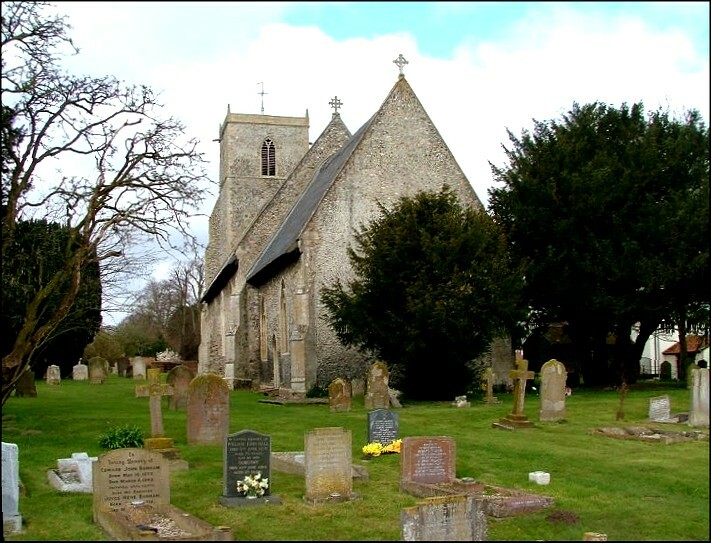 Caston is a pretty village set around a green, not far from the Thetford to Watton road, and also not far from the edge of the British Army's battle training area. But such things do not impinge, and coming here on a bright early spring morning was like stepping out of the present century, if only for a moment. As with other nearby churches, Holy Cross is a beautiful and interesting building which is open to strangers and pilgrims every day, making it a pleasure to visit. Unusually, you enter through the west door. 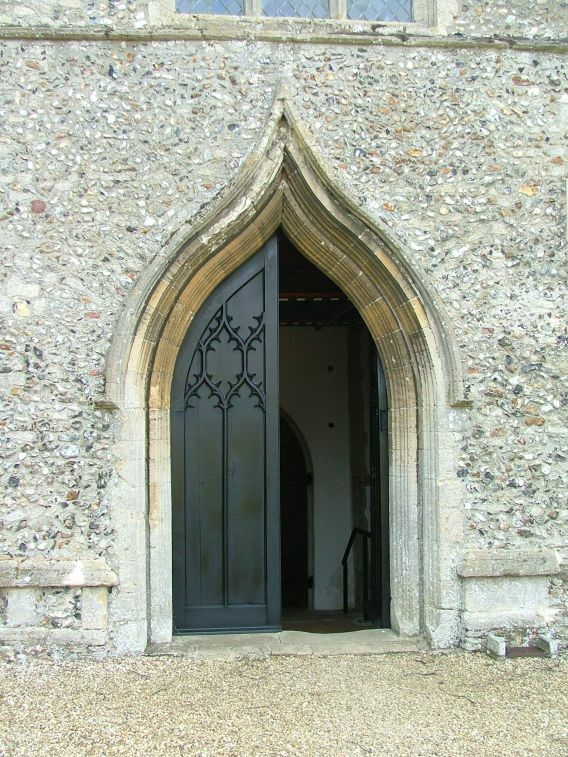 Now, this seemed a quite extraordinary doorway when we saw it here, our first church of the day, with its pointed ogee-arched shape, as if this was a gateway to the orient. 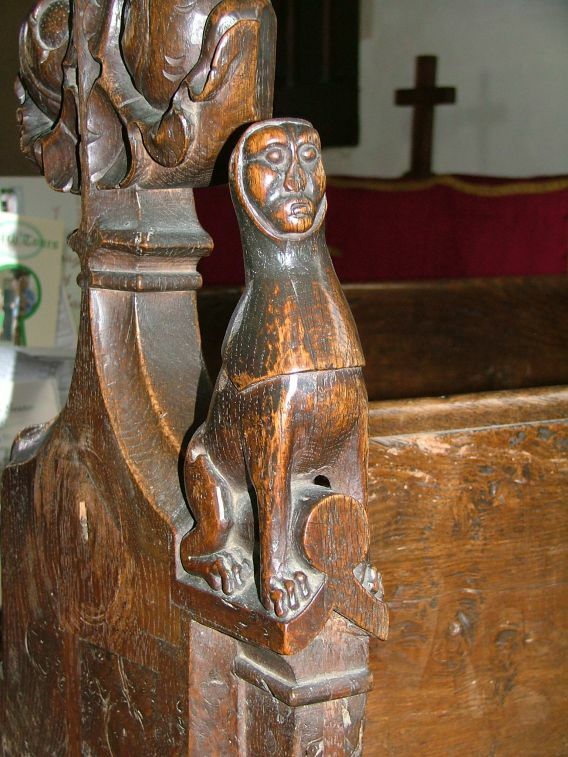 In fact, this design seems to have been a local fashion in the 14th century, and we would see it several more times between here and Swaffham. 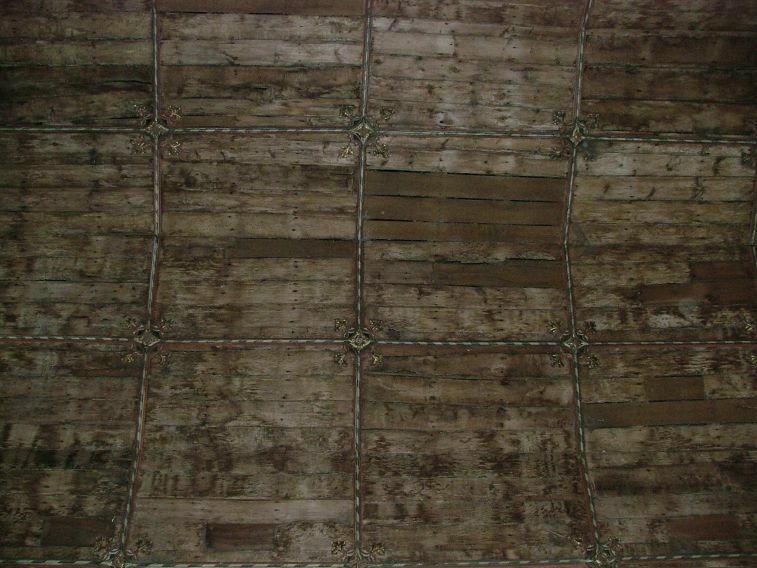 Holy Cross is a narrow, aisleless church, and the barrel shape of the boarded roof creates an effect something like a tunnel. 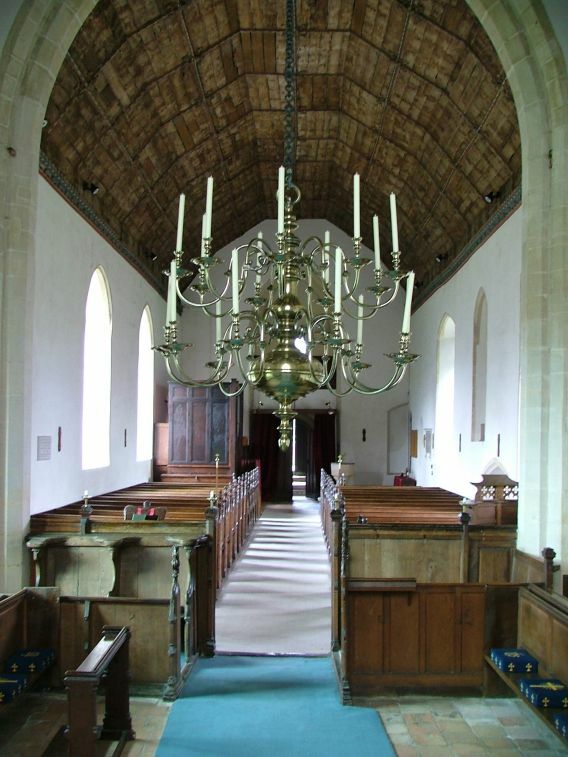 The west end is delightful, the brick floors off-setting the font, while at the other end the chancel is tall, and the eye is drawn to the magnificent candelabra that hangs in front of the east window. 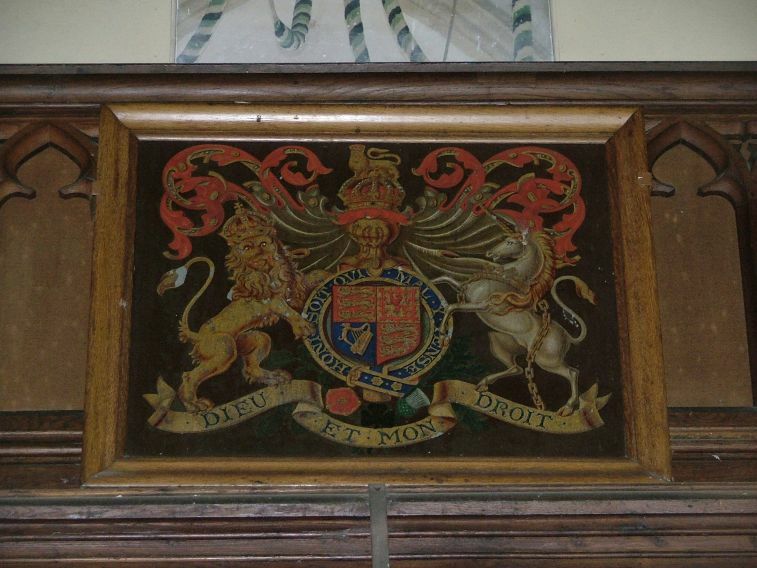 Supposedly, it was given by Charles I to a church in Hertfordshire, and originally came from Hampton Court. 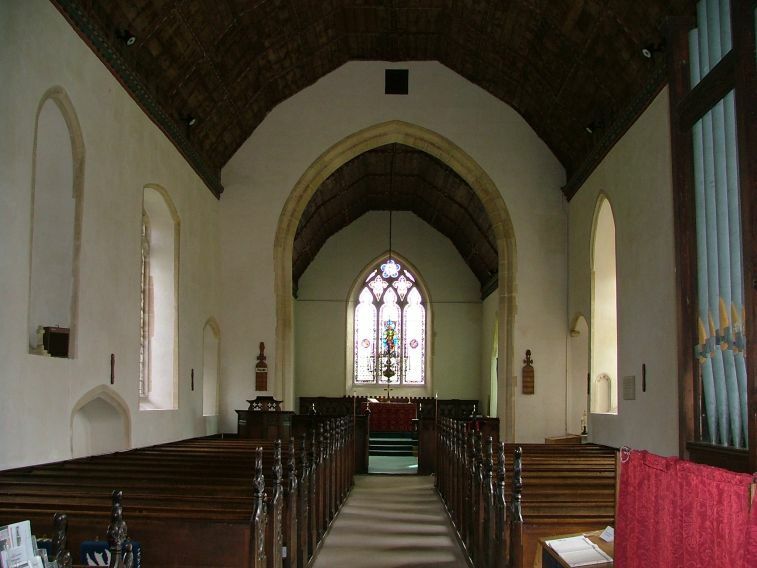 Caston has an excellent collection of English and Continental medieval and early-modern glass, some of which may well have come from this church originally. 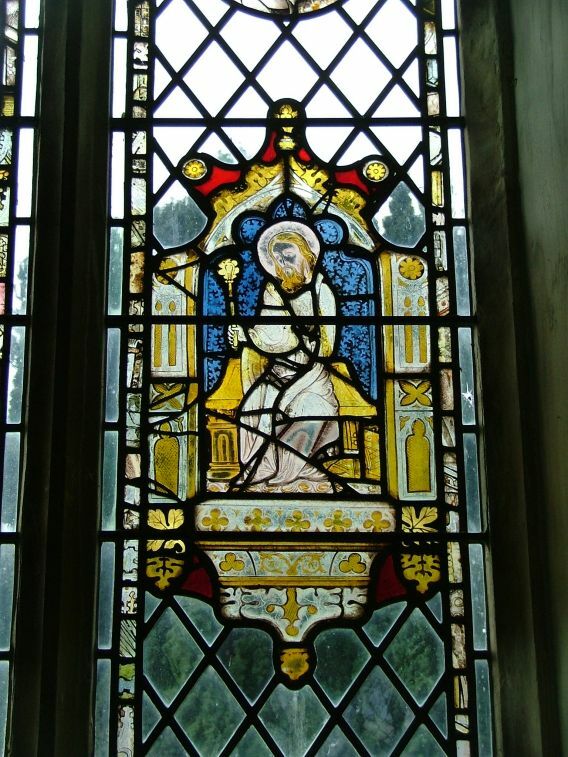 It is set in nave windows, and although it mostly consists of fragments, they are displayed well. In fact, the whole lot has been reset after being blown out by a bomb in the 1940s. Best of all are an English wheel symbol of St Catherine, and part of a continental Crucifixion, the tortured Christ laid back in agony against the beam. 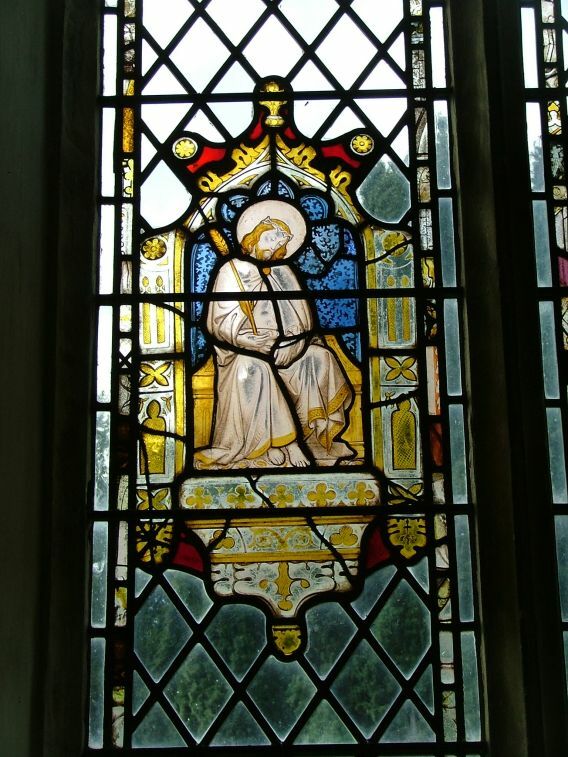 There is also some good modern glass, including some 19th century Evangelistic symbols, and an abstract 20th century representation of the cross. Although not terribly well-known, this church has an intriguing collection of early survivals. 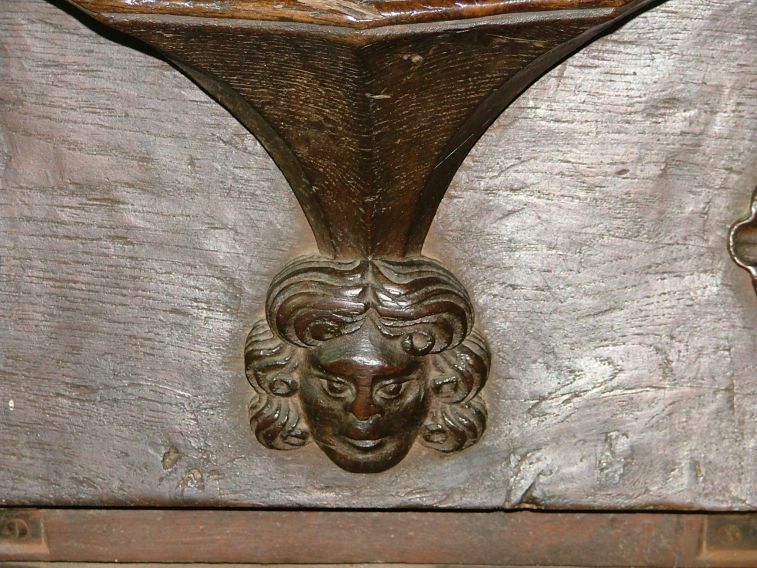 As well as the candelabra, there are some old bench ends at the west end, one of which features an animal wearing a cowl. 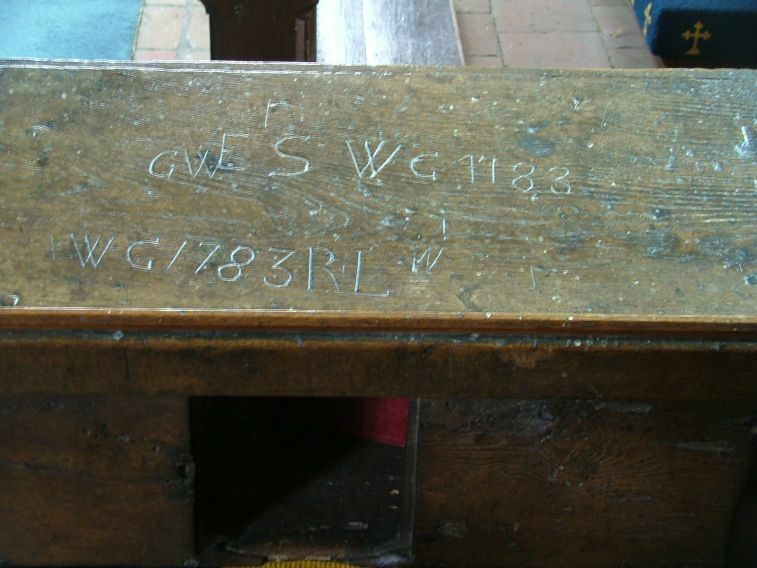 There are misericord seats with faces beneath them in the return stalls in the chancel, and some graffiti on the desk carved by a bored scholar in the 18th century. 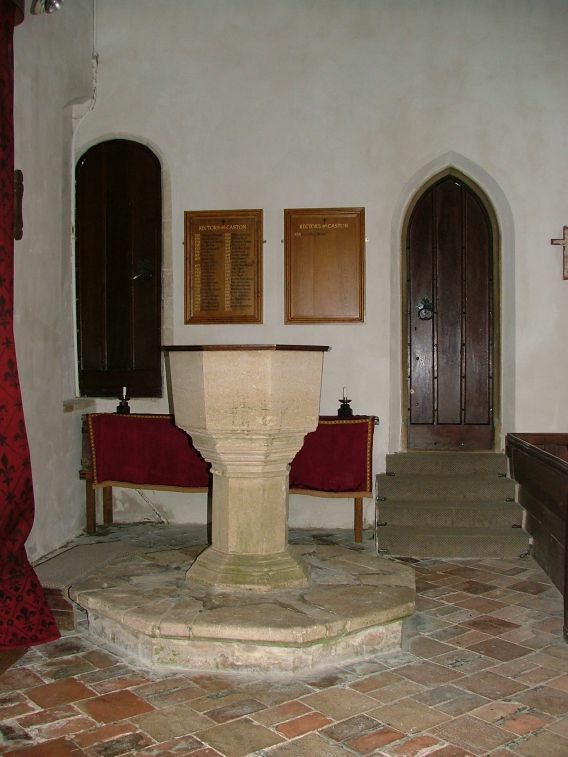 The grand, austere decalogue boards are now beneath the tower, and Mortlock tells us that we should turn back the altar cloth on the Stuart table now in use as an altar, because it still bears the score marks of where the bread used to be cut. But the cloth was fixed by a rail, and we didn't dare interfere with it.